The owners of a local video game store are celebrating a major expansion of its list of offerings and additional games for area shoppers to browse. Jeffrey Meehan/Pahrump Valley Times Tournament players battle at a Super Smash Bros Ultimate tournament at the Game Corner & Family Fun Center in Pahrump on Jan. 26, 2019. 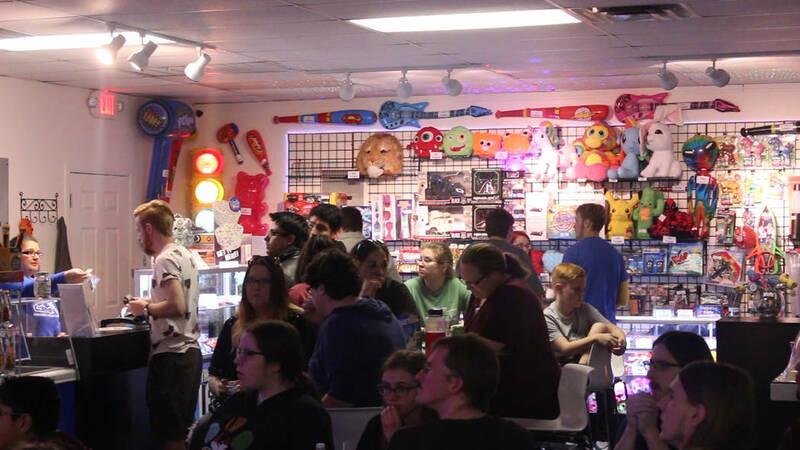 Jeffrey Meehan/Pahrump Valley Times The crowd looks at a video game tournament on Jan. 26, 2019 at the Game Corner & Family Fun Center in Pahrump. Jeffrey Meehan/Pahrump Valley Times Josh Osborne, co-owner of the Game Corner & Family Fun Center in Pahrump talks about his additional space for games and fun and some new offerings. The center at 1190 E. Highway 372, Ste. 8, is hosting a grand re-opening celebration from 10 a.m. to 7 p.m. on Saturday. A grand re-opening celebration is planned for 10 a.m. to 7 p.m. on Saturday at Game Corner &Family Fun Center-Pahrump at 1190 E. Highway 372, Suite 8. The event is to celebrate a significant increase of retail space, but also the addition of many new offerings in a space five times larger than the previous location. Free food and drinks will be available from noon to 2 p.m. Discounts on used games and consoles will also be available during the grand re-opening, along with music, prizes, games and a full arcade, according to a social media post by Game Corner. 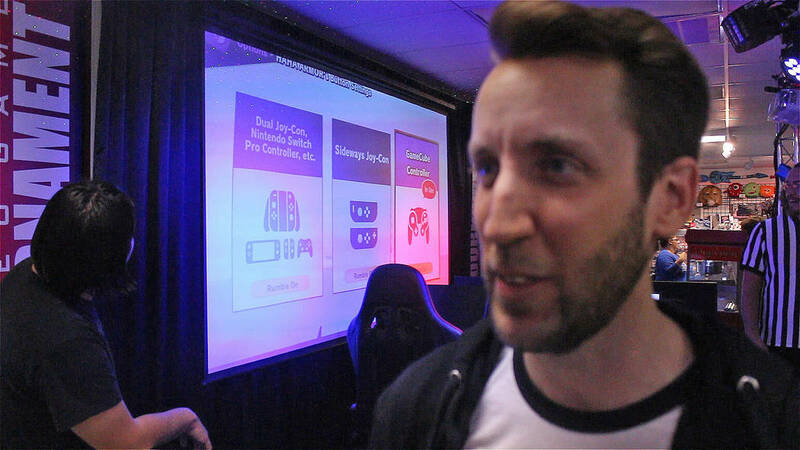 Josh Osborne, co-owner of Game Corner &Family Fun Center-Pahrump, said the new, bigger area features two sides – the video game store and the family fun center side. The video game store side has shelves stacked with video game options; meanwhile, the other side of the space houses video game tournaments, has a ticket redemption area and snack bar and arcade and pinball options. Both sides are housed in a 5,000-square-foot space, where Grocery Surplus was previously located. The former space had about 1,000 square feet. That space was adjacent to Great Computer Deals, which Osborne also co-owns with his father. 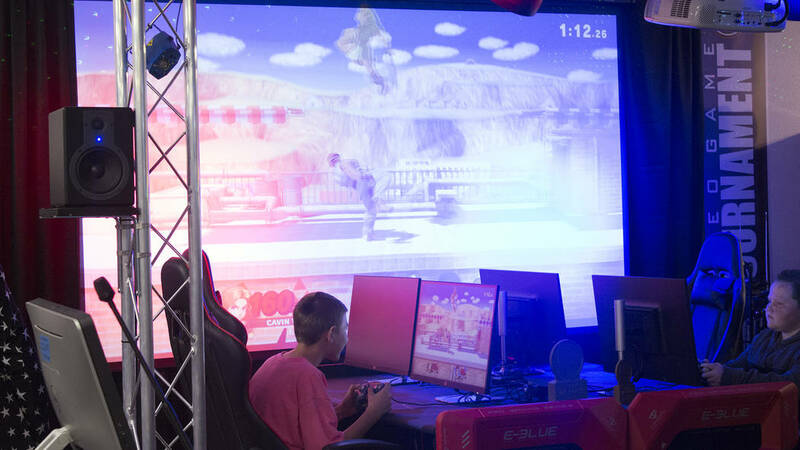 With the additional room, the tournament area sits on a stage area in front of seating for the crowd who can watch the action on a projected screen behind tournament players. The Game Corner &Family Fun Center has already hosted its first tournament in its new space at the end of January. Tournament entrants battled each other playing “Super Smash Bros. Ultimate,” Osborne said. There are offerings for both adults and kids with the tournaments. On the adult side, entrants must be 14 years of age or older, with 13 years of age and younger competing in the kids’ tournament. For more information, call 775-537-3897. Game Corner & Family Fun Center planning a grand opening event from 10 a.m. to 7 p.m. on Saturday.